Sunlight is the source of natural Vitamin D that our body requires to remain fit and healthy. Sunlight is needed to support various species on Earth including plants and human. But, when these sunrays become excessively scorching especially in the summer months, it can be damaging. Just like it can destroy the life of various species, it can also take a severe toll on humans. Excessive exposure to scorching summer heat can be fatal for our overall health, including skin. While skin tan is the most obvious consequence, there are other skin issues as well that can be caused by excessive sun exposure in summer. Needless to say, it is seriously important to protect your skin from the sun in summer. And if you are wondering about how to protect your skin from the sun in the summer and other months, then here’s the post worth checking. Today I am going to tell you about various smart ways to protect your skin from the sun easily in summer and other season. We live in a competitive world, and we have to go out every day for work, so getting out in the sun cannot be avoided easily. However, you can always try different tricks to protect your skin from the sun. You can protect your skin from the sub by covering your skin, using sunscreen or by eating lots of fluids and healthy foods that will help your body fight the skin issues fast. Well, I know it will always not be that easy considering the busy life we lead. But it is your duty to keep yourself healthy and beautiful and protect yourself from the sun and you must never ignore that. Although, today I have taken up the topic of protecting the skin from the harsh rays of the sun but in general, protection from the harmful ultraviolet rays is needed for overall good health. So, when you take up means to protect your skin from the scorching sun rays, you will be indirectly keeping your health better as well. So, please take the things seriously and start the remedies before it is too late. My list of recommended effective ways to protect your skin from the sun will act as a proper guide in giving you ultimate protection. So jot down the steps carefully and start implementing them as soon as possible. The harsh ultraviolet rays are so powerful that at times, even a small exposure can create a whole lot of difference on your skin. So, all of us must be aware of the remedies or protective measures. Skin contributes to the external beauty and I am sure no one wants the harsh sun to damage their skin or health for that matter. 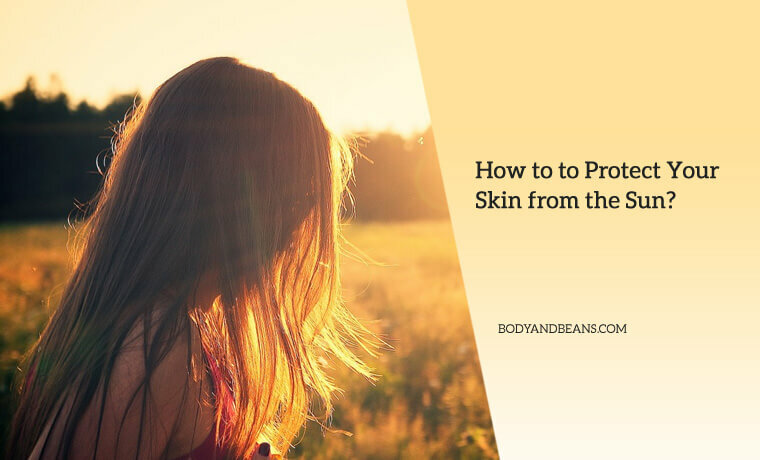 But if you are wondering about how to protect your skin from the sun in summer, then let me tell you that there are smart hacks that can be of great help in protecting yourself from harsh sun rays. Listed below are the best hacks that can help you to protect your skin from the sun. I have tried these remedies and it worked for me. I am sure that these hacks are going to work well for you as well. Probably one of the easiest ways to protect your skin from the sun is by covering yourself well. I know that in summer, the temperature is quite high and wearing covered clothes may make you sweat a lot. But trust me, when your skin is under cover from the direct sun rays, you are definitely going to feel some relief from the harsh sun. At least, your skin will not get that burning sensation and most importantly will not get tanned so extensively. So, please wear full sleeve tops and full pants whenever you are out in the sun. And, yes, do not miss out the covered shoes even. Umbrellas are not just meant for rainy seasons but they are great in helping you beat the summer heat as well. It is one moving shade that you can always carry in your bag whenever you are out. There are so many different kinds of umbrella but go for the one that has a good thick material. The transparent or the very thin ones may not fully serve your purpose of protecting your skin from the sun in summer. Well, if you are not into carrying umbrellas at all, then I would request you to wear hats every time you go out in the day. There are various stylish hats so it would kind of act as a fashion statement as well as give protection to your skin from the scorching rays of the sun. However, make sure that the hat is big enough to cover your face from the sun rays. To be more specific, a wide brimmed hat is just perfect as it is big enough to cover your face, neck, ears and head. Hence, avoid the tiny ones or the straw ones with tiny holes as they do not block the UV rays of the sun. Darker hats are also great in giving sun protection. The rays of the sun are very harmful for your eyes. It can cause severe damage like cataract and other vison related problems. Constant exposure also darkens the skin around your eyes and causes ugly dark circles. Hence, the best way to protect your eyes and the skin around your eyes is by wearing sunglasses. Big sunglasses with polarized glasses and ultraviolet protective films are good in giving protection, so you can go for them. Also, try to find the glasses that give both UVA and UVB protection. As I keep saying that whatever you eat has a direct influence on your health and so you must eat right in order to protect your skin from the sun. There are certain nutrients that your body needs more and then there are certain foods which you may avoid or eat less to gain the maximum skin benefits. I have a made a list of such foods or ingredients which you may consider to get sun protection. Omega 3 fatty acids give you a lot of health benefits but besides that, it has anti-inflammatory properties which increases the threshold of the radiation of the UV required to cause the sunburn. To be more specific, it is EPA which gives maximum benefits and reduces the toxicity of the ultraviolet radiation. EPA is found in fishes and so do not forget to consume fish for the benefits. However, the exact mechanisms are still unknown, but you can get to know some of the possible mechanisms here. If you want to protect your skin from the harsh sun, then you should reduce consumptions of omega 6 fatty acids particularly from the vegetable oils. Some studies have shown that too much consumption of the omega 6 fatty acids has the possibility of increasing the risk of getting affected by tumors when exposed to the harsh UV rays. However, this effect may be stabilized by eating more of the omega 3’s to balance the inflammatory response. 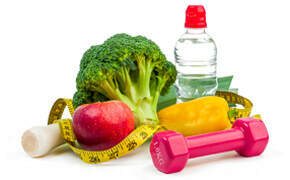 In other words, it is the ratio of omega 3 fatty acids to omega 6 fatty acids that is most vital. So if you eat too much of omega 6, the ability of your skin to protect itself from the sun damage will be lessened. When you are planning to go out and stay for long hours in the sun, it is always better to avoid consuming alcohol before that or even on the previous day. The main reason behind this is that when you drink so much alcohol, your body uses the antioxidants to keep your system detoxified. So, naturally, when you go out in the sun after that, then the defenses provided by the antioxidants will be much less. In addition, research has also shown that the consumption of alcohol can increase the risk of getting sunburned, so reduce alcohol intake to stay healthy and maintain your skin. One of the easiest and effective ways to protect your skin from the sun is by eating a lot of tomatoes. The primary reason is the presence of lycopene in them which is a carotenoid which provides huge protection to your skin. If you consume at around 40 grams of tomato paste daily for 10 weeks, you will experience a 40% reduction in your sunburn and studies are a proof of that. Cooked tomatoes contain higher amounts of lycopene and so it is recommended to eat tomato paste but that does not mean you cannot eat them raw. It is not just the tomatoes you will eat, but your diet must include more healthy food items so that your body gets more variety of carotenoids. A study published in the “Journal of Nutrition” has already shown that the carotenoids have photoprotective benefits which are in direct link to their concentration in the skin tissue. Supplementary carotenoids also help in scavenging the free radicals and gives protection to your skin within 10 weeks. Beta carotene is one of the carotenoids which is very effective in giving you protection and so you must include it in your diet to protect your skin from the sun. Carotenoids add to the various colors in the different fruits and vegetables and so your diet must contain spinach, carrots, mangoes, sweet potatoes, etc. in adequate quantities. One of the other effective ways to protect your skin from the sun is by drinking green tea on a frequent basis. The main reason is the presence of the polyphenols which as per studies increase the time taken to cause sunburn and it has also proved to reduce tumor incidence, growth and multiplicity. In other studies, on women, it was shown that drinking green tea resulted in a 16% and 25% reduction in the degree of sun damage at 6 and 12 weeks respectively. Moreover, it also improves the overall quality of the skin. If you are looking for a way which is going to be super tasty as well as equally effective, then the dark chocolate remedy is something that you must definitely try out. Well, the reason I said you this is because studies have been conducted in this regard and it has shown that the flavonoids in the cocoa increased the amount of the radiation of the ultraviolet rays required to cause skin burn by 15% and 25% after 6 and 12 weeks of treatment respectively. Moreover, the cocoa also helps in the reduction of the roughness of the skin as well taking care of its overall quality. In order to protect your skin from the sun, you should include more vitamins especially Vitamin C and E in your diet. Vitamins C and E has antioxidant effects that are very good in protecting your skin from the sun. As per reports, if you consume them in large amounts for about 50 days, then it can double the amount of UV radiation needed for your skin to burn. And, in another experiment where the combination was consumed in small amounts, it showed the benefits of increasing the time taken to cause sunburn just after 8 days of the supplementation. So, far I was talking about the natural and effective ways to protect your skin from the sun. But usage of sunscreen which is a commercial product cannot be termed as fully natural. But, taking the harmful effects of the sunrays on our skin into consideration, sunscreen is a must use by all. It protects your skin immensely from the harmful ultraviolet rays and prevents tanning. So, every time, you step out in the sun, never forget to apply sunscreen on the exposed parts of the body. However, as I already said that sunscreen is after all a commercial product and you already know that most of such market products contain chemicals that may damage our skin in various other ways. Also, all sunscreens may not be equally effective. Hence, choosing a good sunscreen and then knowing the proper technique of using it can help you greatly. Broad spectrum – Whenever you choose the sunscreen, make sure that the word, broad spectrum is labeled on it. This is because broad spectrum indicates that the product has the potential to protect us from two types of sunlight. One is UVA which mainly leads to wrinkles and fine lines and is also known to cause skin cancer often. The other type of sunlight is UVB which leads to skin burn and also skin cancer. So, you have to make sure that the sunscreen you are using gives this double protection. Water resistant– If your sunscreen has a label of being water resistant then that is good because such products has the ability to work for long even after you sweat or get wet a lot. However, the level of water resistance varies from product to product and so read the labels carefully and also follow the instructions as to how often you need to reapply it. SPF– This actually is a measure of how good your sunscreen is in giving you protection from the UVB rays. So, the higher SPF your sunscreen has, the more effective it is. However, from a general observation, it is seen that despite what the SPF is, applying the sunscreen every 2 hours is essential for ultimate protection. Wipes, powders and sprays– Well, this has not yet been confirmed by FDA whether the wipes, powders, body washes, and shampoos that contain sunscreen are effective or not, so I would suggest you to go for the traditional creams, lotions and ointments to protect your skin from the sun. And, as far as the sprays are concerned, some scientists claim that it could be risky if you breathe them. FDA is however doing research on it more and then only it will confirm or deny the fact. Until then, if you want to use the sprays, please avoid directly spraying it on your face. It is better if you spray on your hand and then wipe them on your face and other body parts. The ingredients– FDA has approved 17 active ingredients for use in the sunscreens. However, some groups have often raised issues regarding the safety of using some components like for example oxybenzone. But, the American Academy of Dermatology says that preventing skin burn and skin cancer is of more importance than worrying about health hazards that are not proven yet. The Skin Cancer Foundation also claims that most of the ingredients used in the sunscreens are effective and safe if you use them as per direction. So, you need not worry much about the ingredients your sunscreen is made up of given that it is of good quality. Expiry date– Every item has got an expiry date and the sunscreens are no exception. So, before buying the product, please check the expiry date carefully. If it is directly not mentioned, then keep in mind the year and date you purchased it and then throw it off after 3 years. FDA requires all of the sunscreens toremain effective for 3 years. Now, that you know how to pick up a good sunscreen, you must also learn the proper techniques to apply sunscreen for maximum benefits. This is because, it is not just the effectiveness of your sunscreen that matters but also how thickly or evenly you have applied it, is equally important. So, here are the steps that you need to follow. Hence, jot them down carefully. Apply the sunscreen liberally on your skin at least 20 minutes before you plan to leave the house. This is a very important step and you must never forget it. No matter how much skin products like medicines, toners etc. you apply on your face, remember that the last thing that you should apply on your skin before going out in the skin is your sunscreen. The main reason is that if you apply any moisturizer or acne product over your sunscreen, it will inevitably break the protection down. In case you are using a SPF foundation along with any SPF moisturizer, let me tell you that the SPF number does not add up. But, you will definitely be getting some extra sun protection. If you want to use the SPF moisturizer, then please apply it liberally and evenly on your exposed body parts. Applying SPF moisturizer thinly will not serve much of your purpose. Many may be unaware that even if the day is cloudy, the UV rays of the sun are at work. So, you must not miss out wearing your sunscreen even on those days. Also, if you are sitting beside an open window or by the side of any water body, let me remind you that your skin is still vulnerable as the rays may cause damage in the means of reflection. The altitude of the place you are living and also the time are the other important factors that you must consider. The ultraviolet rays of the sun increase around 4% with each 1000ft increase in the altitude and they are harshest within 10 am in the morning to 4 pm in the evening. So, you got to be careful and must protect your skin as much as possible. Sunscreens are very effective against sun rays but some amount of damage is always caused to your skin. Hence, to give your skin double protection, you can take the help of serums. These are great in treating the sun damage caused by not just the sun but also from harsh makeup, hormones or stress. For best results, try to use serums having antioxidants such as pomegranate, green tea, Vitamin C, hyaluronic acid etc. These serums will also repair your age spots, fine lines and wrinkles and hence are one of the most effective ways to protect your skin from the sun. Well, the scorching rays of the sun can certainly cause a lot of damage to the skin especially during the summer months when it is literally boiling outside. While staying indoors is the best solution but we cannot consider it as a practical remedy as most of us work and have to go to office daily. Hence, you need to think of alternative ways to protect your skin from the sun. Although, majority of the people prefer using sunscreen which indeed is a good solution but you must be also aware of the other natural ways to protect your skin from the sun. I have talked about various smart ways to protect your skin from the sun. Some of the things like keeping yourself covered whenever you are out in the sun, then eating the right kind of nutrients to enable sun protection are the easiest things that you can do for your skin. So, please take up the strategies and experience the benefits yourself. Until then, stay safe and do not let the sun ruin your beautiful skin.